Ohio State University has been doing some great stuff lately in Columbus. Whether it be their world famous marching band parodying famous television icons, the football team finally getting back in action, or some of the awesome programs taking place on the their campus. I headed down to Columbus to get the scoop for myself. I shot an interesting and inspirational story about a university medical center that started providing care to adults with Autism. Since many adults with Autism do not receive the same care as they did as children this center primarily focuses on the unique and important lives of these people. I followed one man named Braden who receives care at the facility, but also works as an elementary school teacher. First, we interviewed both Braden and his doctor then listened in on one of their consultations. After the consultation, we checked out Braden’s classroom while his class was at recess then heading to lunch. Lastly, got some shots of Braden alone in his classroom so we could see him in his element. Overall, Braden was great on camera and really enjoyed the experience! It was a pleasure getting to tell his story. 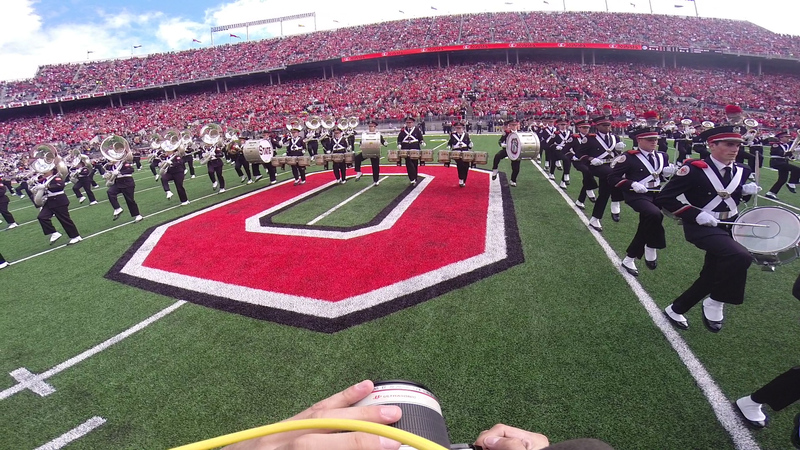 Onto the next tasks was shooting the famous Ohio State University’s marching band. 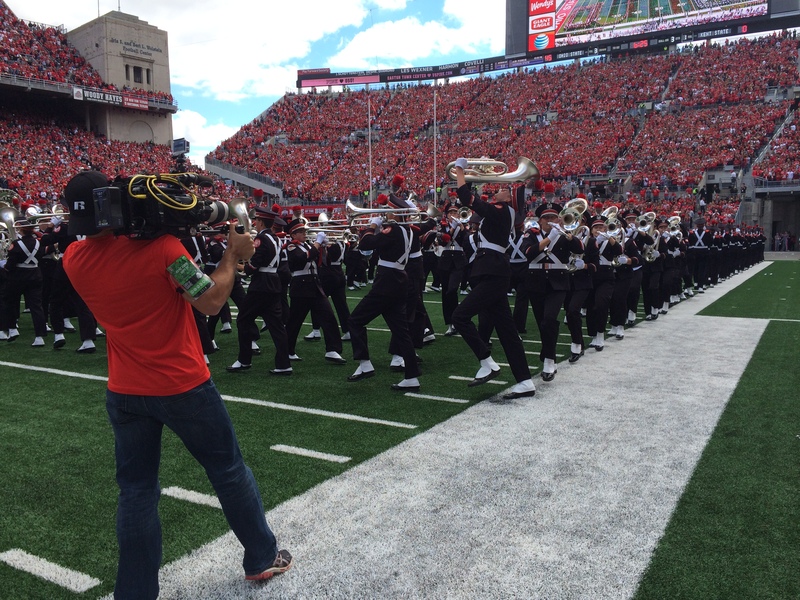 Long-known as one of the best marching bands in the country, the Ohio State marching band is most well-known for a routine called Script Ohio. In the routine, the band spells “Ohio” in cursive and a sousaphone player “dots the i”, which is one of the greatest honors in this band. I joined up with Go To Team DC’s DP, Ryan Ricker, getting up bright and early to watch the band rehearse. We followed the band as they marched into the gymnasium for Skull Session, which is another big Ohio State tradition. The team was welcomed with the fight song amidst 10,000 screaming fans. We prepared to capture them on the field for their pre-game performance. The Ohio State University’s band was a lot to handle during their performances on the field since they incorporate a lot of movement in their routine. We did all we could to stay out of their way! Fortunately, there were no major mishaps and I wrapped up my weekend in Ohio with some great footage!